After fleeing from Philadelphia in 1777 and the death of her husband, William Young, from camp fever at Allentown, Pennsylvania in 1778, Rebecca Young faced a considerable life decision. At age 39 with five children to raise her options were, either remarry or find a way to support the family financially on her own. Fortunately for Rebecca, her family was well connected to important personalities of the American Revolution and fledgling country. Perhaps the choice of what to do was made easier for Rebecca when her brother Col. Benjamin Flower writes to his sister offering to find her a home near his in Philadelphia where she can begin making supplies for military use. Benjamin Flower, only 29 years old, had been appointed commissary general of military stores by George Washington in 1777 and was responsible for keeping the Continental Army supplied with everything from musket balls to simple cotton shirts. 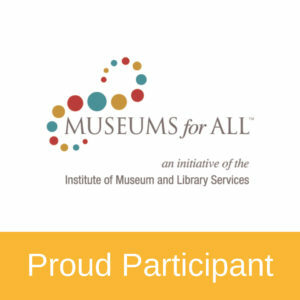 The first time Rebecca’s name appears in military records she is listed in the Musket Ball Book on August 31, 1778, as having been paid for the production of 500 musket balls. This entry appears on the same page as the name of Elizabeth Ashburn (Betsy Ross). Rebecca Young is listed in military records from 1778 until 1788 having moved to Baltimore and completing a continental standard on July 14 of that year. Over the ten years that she provides military wares she is listed as having produced cartridges, musket balls, shirts, bedding, wires and brushes, drum cases, and hat linings, but most important among her work are the continental standards and garrison flags produced by Rebecca between 1781 and 1788. It is apparent that this was a lucrative part of the military supply trade and she launches an aggressive advertising campaign for her flags in the Pennsylvania Packet on May 26, 1781, and continues placing ads more than 30 times in two years. She is paid between £10 and £26 per flag. Flags were essential for all aspects of military operations and Rebecca Young seized the opportunity to turn her work into a what would become the Baltimore flag making business with her daughter Mary Young Pickersgill, the craftswoman responsible for the creation of the Star-Spangled Banner. of Elizabeth Ashburn (Betsy Ross). 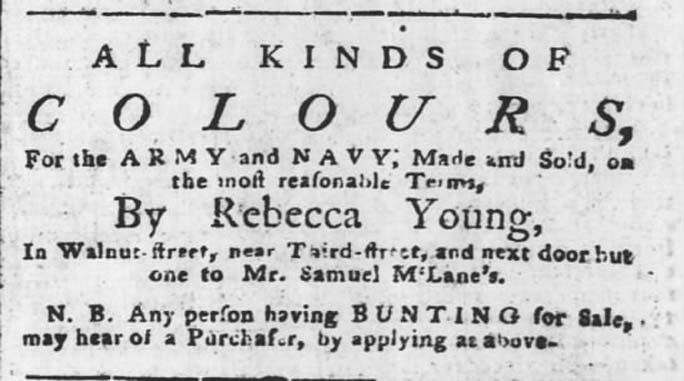 May 26,1781, Rebecca Flower Young begins aggressive flag making advertising campaign in the Pennsylvania Packet as a “Maker of Colours,” placing her ad at least 30 times in 2 years. 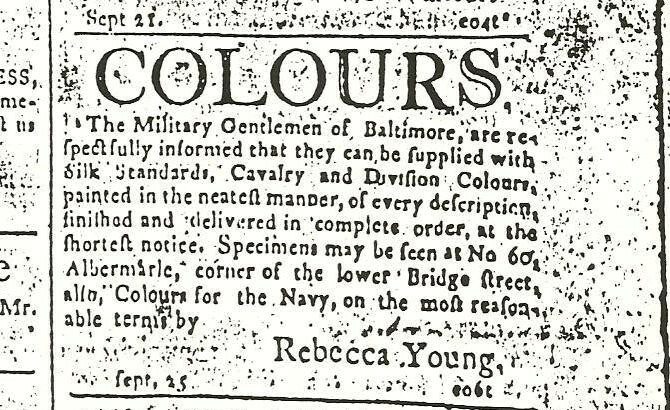 September 25, 1807, Rebecca Flower Young, still head of household, advertises the Flag making business in the Baltimore Daily Advertiser.